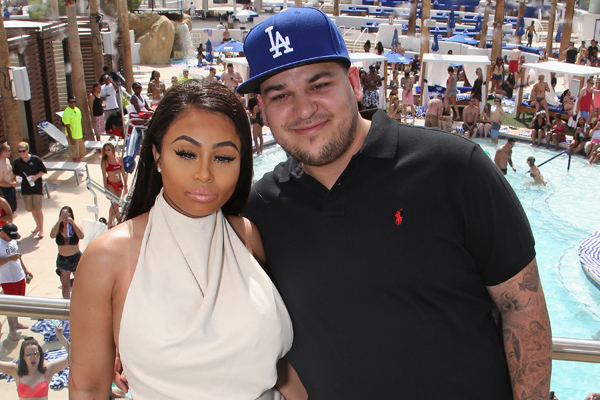 In late-breaking relationship news, Blac Chyna is still together with Rob Kardashian. At the moment, we weren’t sure what their status was, but according to Chyna, these two star-crossed lovers are still working on their relationship and taking it very seriously. Blac Chyna is the newest cover girl for Cosmopolitan South Africa and she’s SO happy about it. Being any cover girl would be awesome, but joining the Cosmo family is a big deal. In honor of that achievement, the model opened up all about her current relationship and how to make a romance work. Because relationships are hard, the mother of two added her tips to make a romance last…in the long term. “I’m in it for the long haul, so I feel like my advice [for anyone in a similar situation] is therapy,” she told the mag. “Know each other’s family, [and] calling each other’s moms,” are also key, she revealed. Mother does know best, so we definitely agree with this. Even though there are ways to help mend and build a relationship, it’s not always easy. “I feel like everything isn’t going to be perfect, but I know we love each other and we’re fighting for each other, and the people we surround ourselves with are rooting for us. It makes everything much easier,” she added. In addition to Blac Chyna and Kardashian’s friends and family’s support, they have a daughter to work for. Together, they will always have Dream as their reason to work through any issues. We know relationships can have ups and downs, so we wish these two the very best.